International Tourist Guide Day is a professional holiday celebrated each year on February 21. 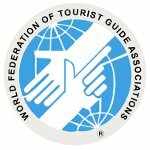 This observance was established by the World Federation of Tourist Guide Associations (WFTGA) and has been held since 1990. The WFTGA was founded in February 1985 at the first International Convention of Tourist Guides. Nowadays, the association represents more than 2,000 thousand individual tourist guides from over 70 countries. It is the only global forum for tourist guides from all other the world that unites individual tourists guides, tourist guide associations, educational institutions, and tourism partners. The first International Tourist Guide Day was held in 1990. It was proposed by the then president of the WFTGA Titina Loizides. This day is aimed at raising public awareness about the fact that tourists guides are cultural ambassadors of the regions they represent. In 1990, fifteen countries participated in International Tourist Guide Day. Since then, the number of participants has been constantly growing. Members of the WFTGA are encouraged to hold events to draw the attention of fellow citizens, the media and local authorities to the important of the work of tourist guides and tourism in general.